The machine keeps on Grinding! Baltimore-based act Misery Index have just released a brand new tune called The Choir Invisible (premiered by Loudwire). 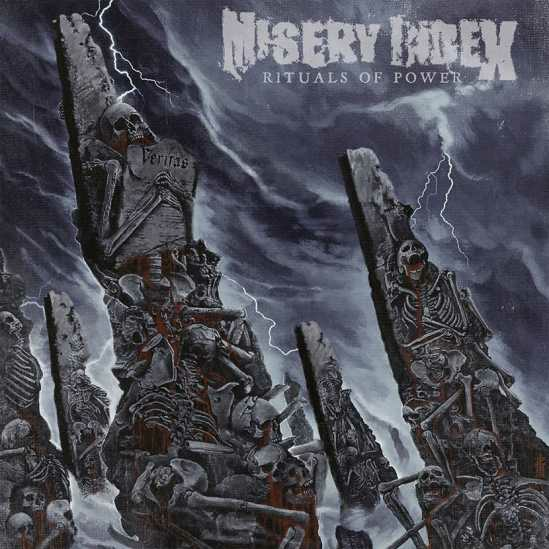 Misery Index’s upcoming album Rituals of Power will be released on March 8th 2019 via Season of Mist. So make sure to get a copy for your girlfriend (you can pre-order it here!). "'The Choir Invisible' is a euphemism for the dead, or those who have passed on. In the context of this song, it is an anthem of the dispossessed and the hopeless…Many across the world exist in an ‘in-between’ state that is often ignored and/or washed over because they lack the power and voice to plead their case as human beings. The song takes up this theme and tells it from the somber view of those who risk their lives, board ships and cross oceans in order to find a better life."